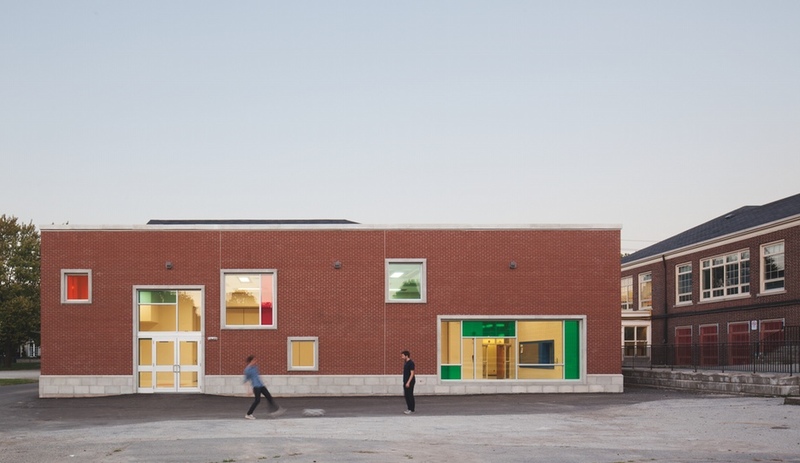 Sporting multihued windows, this extension by Taylor_Smyth Architects maximizes the school’s assembly space on a minimal budget. 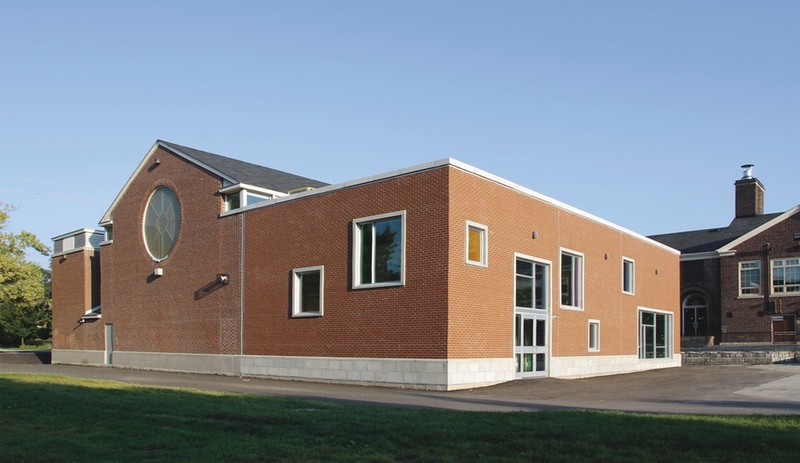 Built in 1941, West Preparatory Junior Public School in Toronto’s Forest Hill neighbourhood has undergone many expansions through the years, to accommodate its growing and multicultural student body. 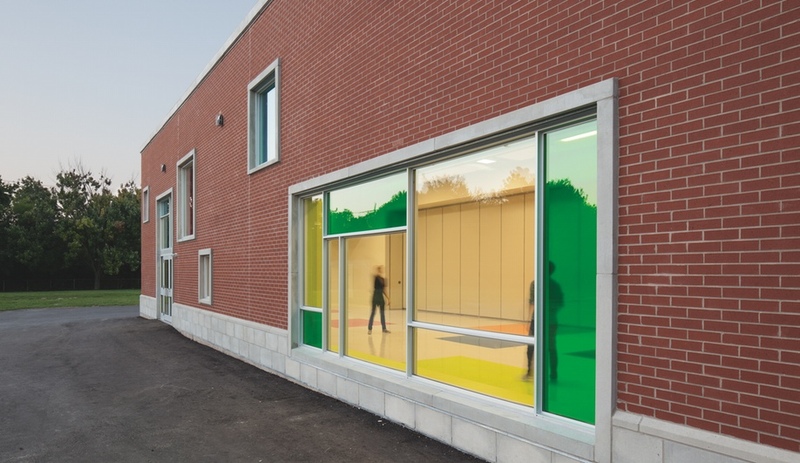 In May 2012, the school brought on Taylor_Smyth Architects to build its latest, 225-square-metre, addition. Situated off of the existing gymnasium, the multipurpose space could be used as a lunchroom, a music room or as a community gathering space. 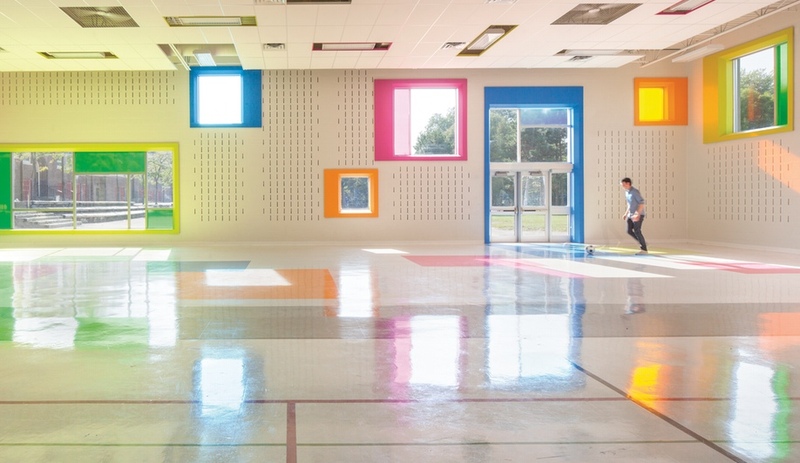 While the firm has creatively employed colour in similar school renovations, their approach could also inform how old school buildings beyond Toronto can be revitalized on a reasonable budget. 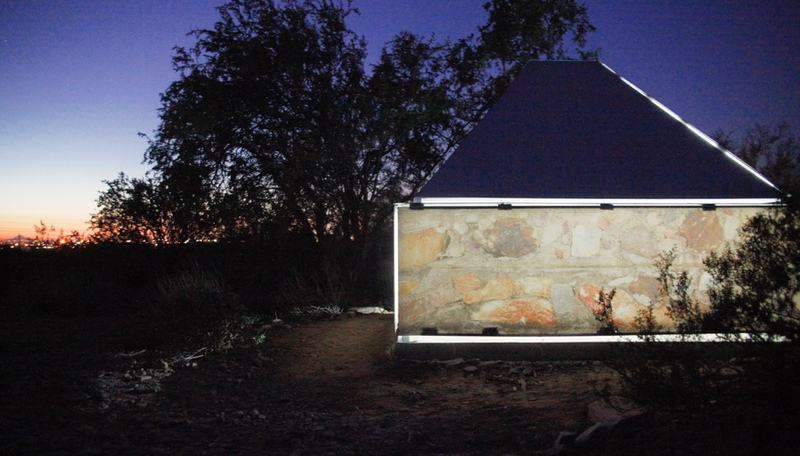 The Toronto District School Board paid $1,065,000 for the project. 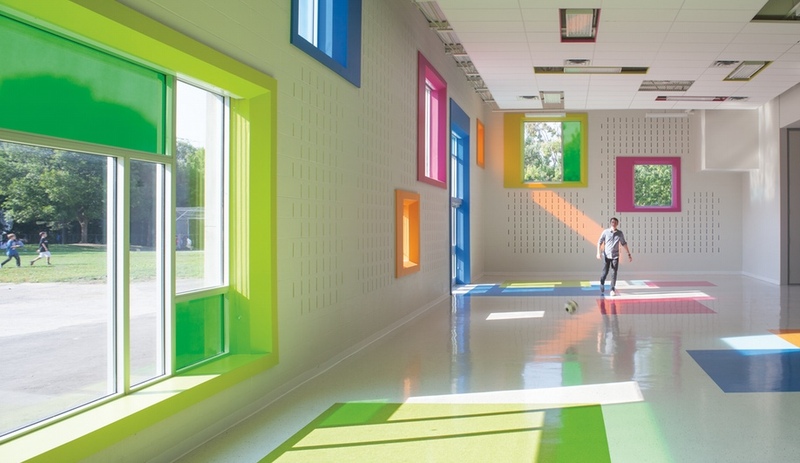 The benefits of bringing colour and light into a learning and working environment – and choreographing a sense of play between light and shadow, interior and exterior – also outweigh the costs. 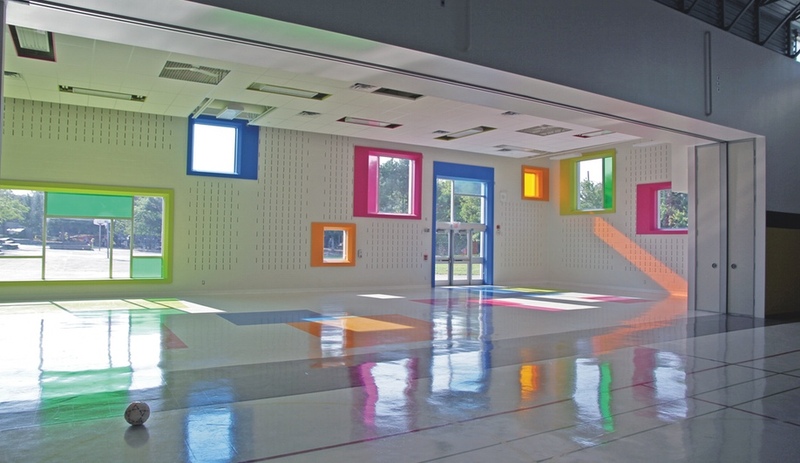 In various sizes, with films in a multitude of hues, the windows cast an array of reflections, complementing the vinyl floor’s oversized squares in matching fuchsia, orange, blue and citrus green. 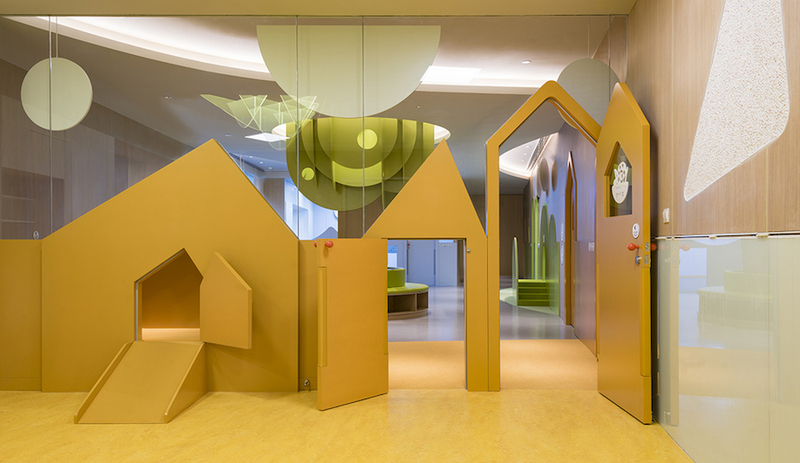 The windows also feature coloured frames; one of the deepest ones extends to form a bench where a few kids can happily perch. 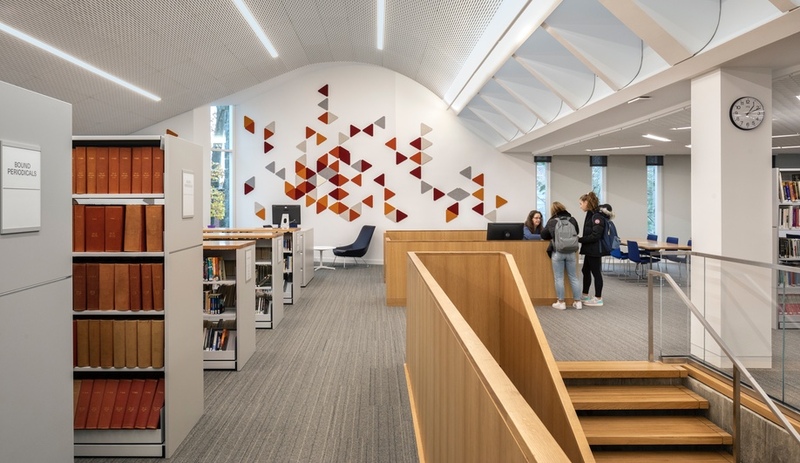 The walls are made of concrete block, some with acoustic slots that are matched by the acoustic ceiling tiles, their exposed edges brightly outlined. 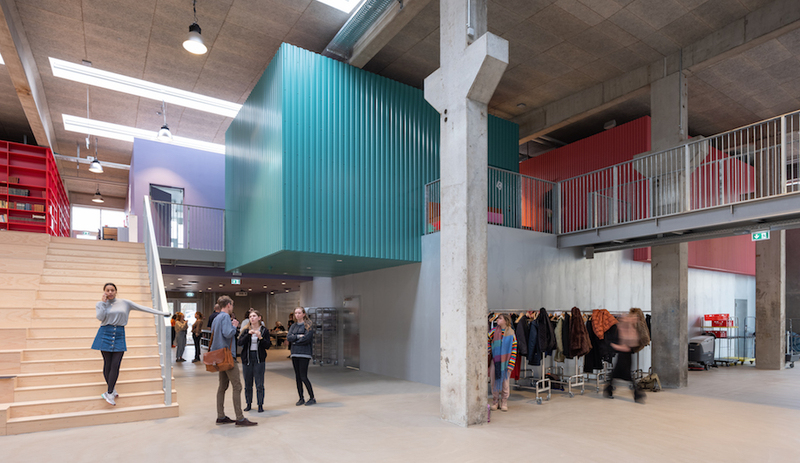 A retractable partition can be deployed to section the addition off from the gymnasium; and a separate entrance from the shared foyer also creates a delineation.